Oh combination skin, how I hate you :( It's tough finding products that are able to treat the problems that combo skin comes with but also not dry out the skin and make it irritable. 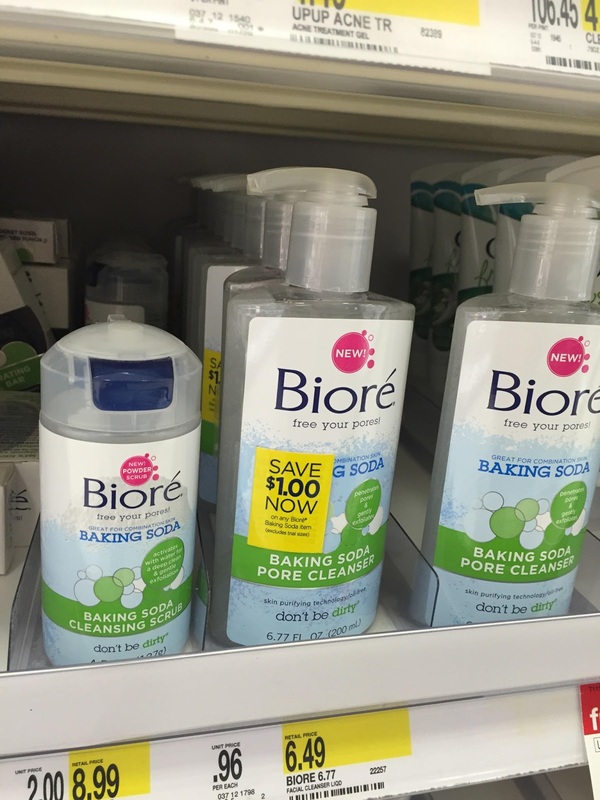 I was excited when I heard that Bioré was coming out with some new products that were specifically designed for combination skin and used an interesting ingredient: baking soda! I've never heard of a product having that before so I eager to test it out (and also to see if it really fizzes! haha I'm such a kid). 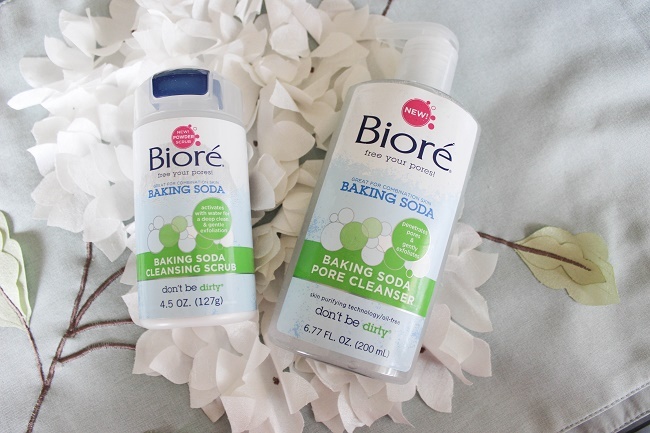 The two new products are the Baking Soda Cleanser and the Pore Scrub. 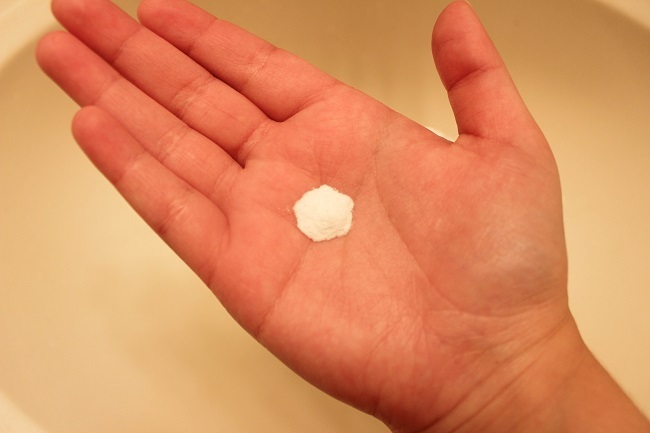 Why baking soda? It's a natural cleansing ingredient that's able to get into pores and help get rid of dirt without over-scrubbing. Before I get into the review, I just wanted to say how much I love the cap on the Baking Soda Pore Scrub which makes it easy to pour the product onto your hands while the Baking Soda Pore Cleanser claims to purify your pores in just 2 days! Whoa. Okay, now I'm really excited to see if it works. What's so unique about this product is that it's actually in powder form! It's a customizable scrub so you simply have to dial up or down the amount of exfoliation that's needed. I decided to use a quarter sized amount and just poured some directly onto my hand. In order to activate the ingredients (and more importantly, make it fizz haha) just add some water and mix. It's crazy how it instantly fizzes and turns into foam in seconds. It's just such a fun product and completely different than what I'm used to. What I love about this scrub is that it's super gentle on the face so you're not left with red skin and there's no need for over scrubbing. Right when I started washing the scrub off my hands, I remember how soft my hands felt so imagine what it did for my skin! 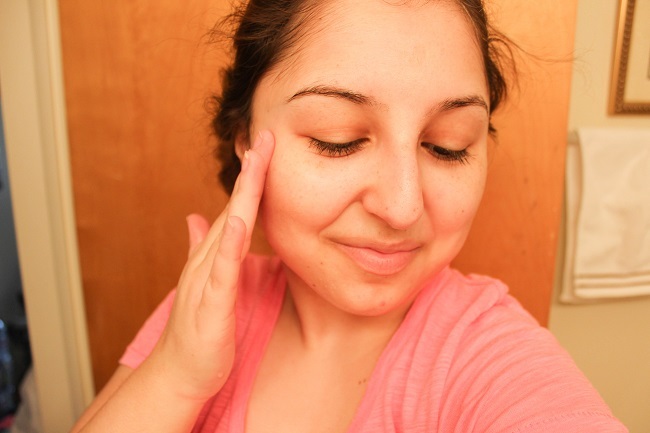 It left a pretty glow on my face and didn't leave my skin feeling tight or irritable while still managing to get rid of dry flakes. Impressive! Not only did I not have to use much product in order to get great results but I used less of my moisturizer afterwards because my skin felt hydrated enough. It's a winner in my book! If you're in the mood to try a unique, new product from Bioré (or follow them on social media!) then head over to everyone's favorite store (including myn!) aka Target and you can find them in the skincare aisle.